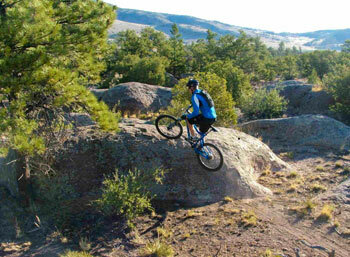 The Rio Grande National Forest is filled with riding opportunities for beginner and advanced riders. 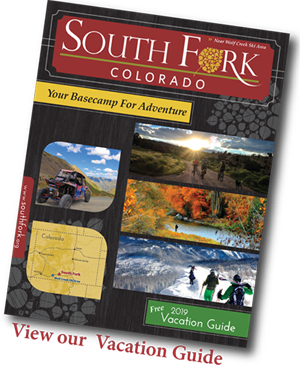 Several trails are within a couple miles drive from town, and some are specifically listed as multi-use for bikes…not to mention the hundreds of miles of forest service access roads open to cyclists of all abilities. 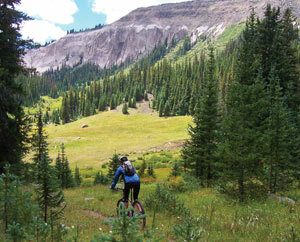 Many trails are multi use - so be prepared for hikers, horses, and ATV’s along the way. 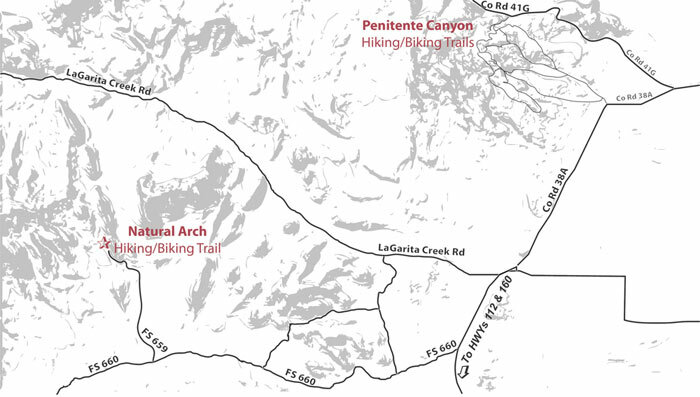 When riding any of the trails available you need to remember that we are at over 8,000 ft. on the valley floor, and you need to be prepared and physically fit before hitting the harder, higher altitude trails. 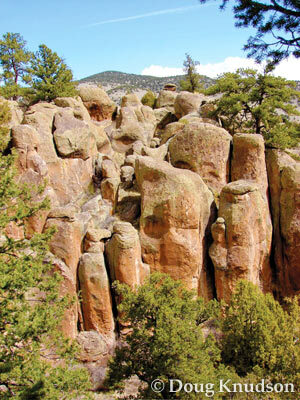 There are numerous well maintained and beautiful trails. Elevation: 8,750 - 11,400 ft. This portion of the trail is a smooth sweeping single-track. There are a few water crossings, and a few rocky sections. A great challenge to try to clean the entire upper section of deep creek. Expect to avoid a few stationary rocks and tree roots. This is a good trail to work on our switchback skills. Good place to learn the basics of mtn. biking on single-track. The trail is mostly smooth with a few minor rocky spots. 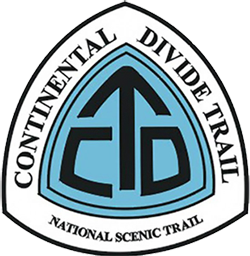 This trail is comprised entirely of expert level high alpine single-track.Trail crosses rock slides and climbs to high alpine meadows. 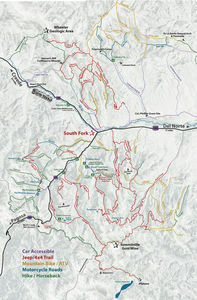 You will love the design and flow of this trail, pure downhill fun. 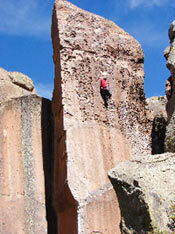 Starts with a short grunt of a climb, and then levels out on the ridge where it is fast and fun. 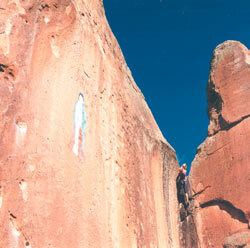 You will find plenty of challenging "rock options" along the way. This is a fun trail but remember to be careful, there is a lot of areas that are exposed , where you don't want to fall off the trail. This trail is fast, and you can really put the hammer down for some good race training. 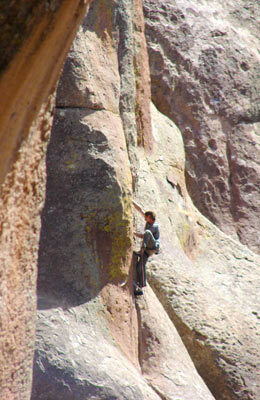 Expect some rock gardens, and even a few spots with some loose rock.